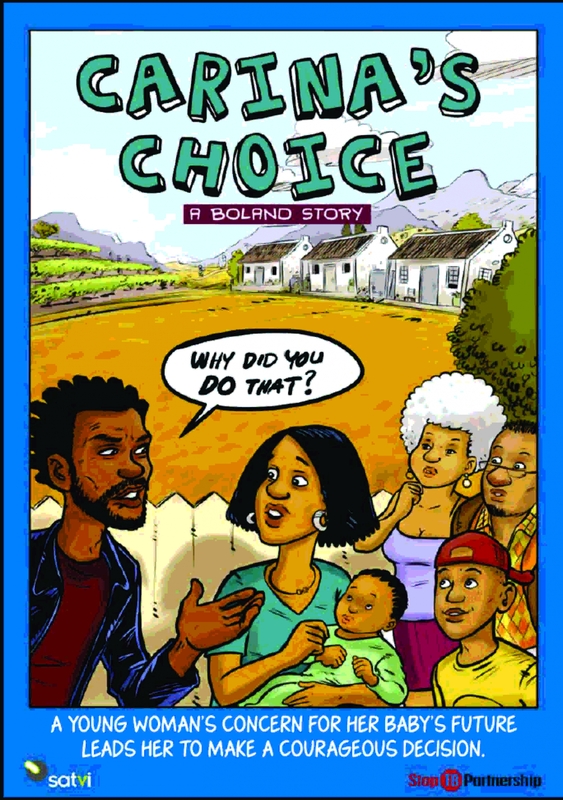 The “Carina’s Choice” comic book was created by SATVI, with the support of the Stop TB Partnership Working Group on New Vaccines, as a creative approach to increase community awareness, support and participation in TB vaccine clinical trials taking place in the Boland region of South Africa. 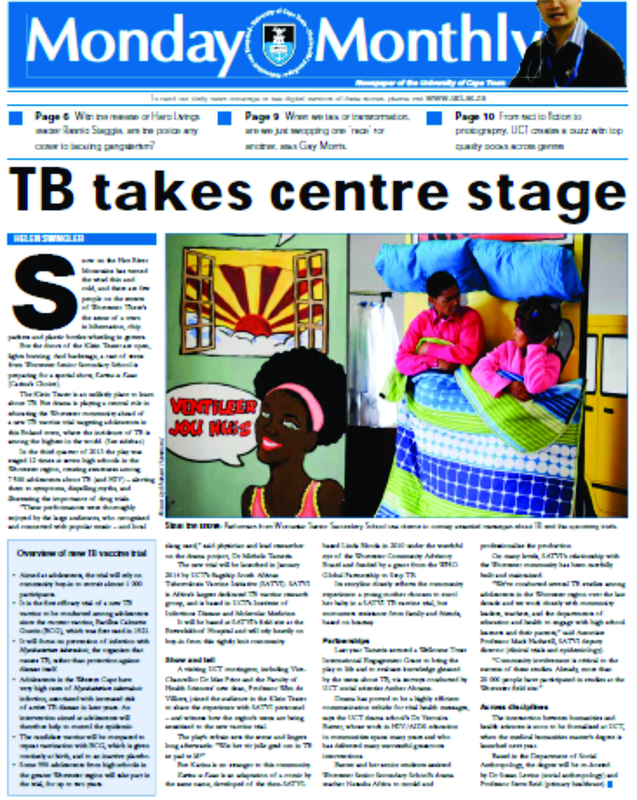 “Carina’s Choice” is translated into English, Afrikaans and Xhosa to share information on tuberculosis, the need for TB vaccines, clinical research and the community’s rights in clinical research. 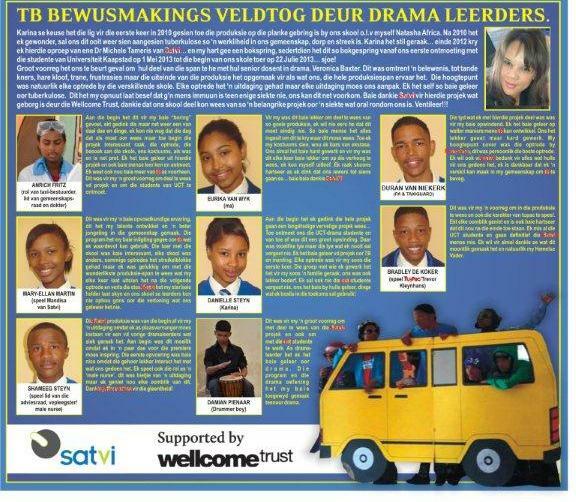 Supported by a Wellcome Trust International Engagement award in 2012, SATVI facilitated a drama production to promote awareness about TB vaccine clinical research, titled “Carina’s Choice” with learners from Worcester Secondary School as actors and UCT drama school students as mentors. A very successful roadshow to 8 local high schools reached approximately 8 000 adolescents in 2013. DVDs with English or Xhosa subtitles have been produced for distribution as well as free download access on SATVI website. Download the Carina's Choice Comic book. Click here. View Carina's Choice Play online.